Mai senza smalto! : Pink Wednesday: not just one...but 18! I'm currently out of pink swatches (not of pink polishes, of course, it's just that I'd prefer to swatch light colors with longer nails, it's weird I know)! 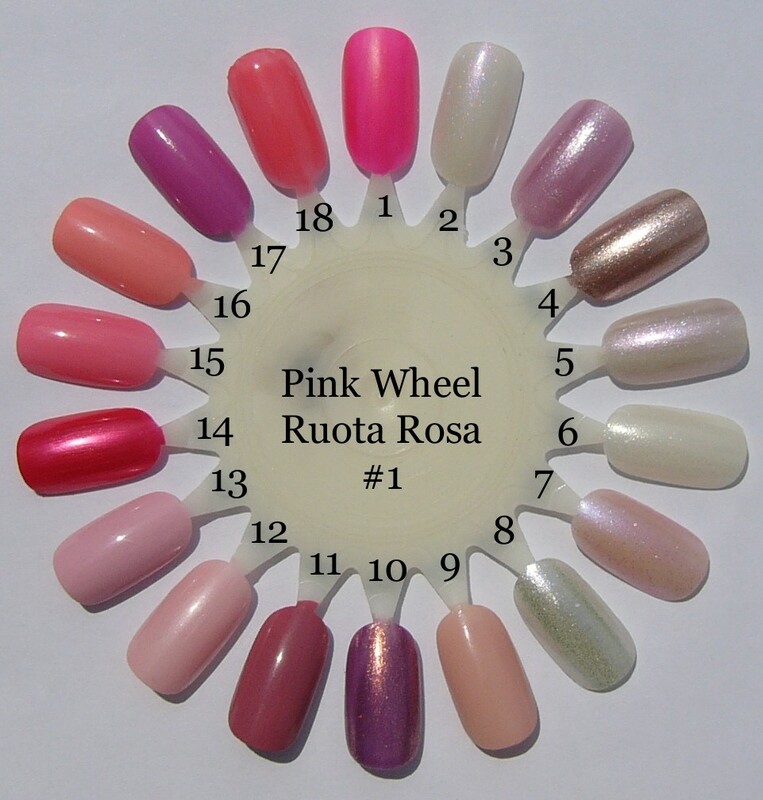 So this Wednesday I will stick to the pink theme with my first pink wheel (2 coats for each polish), I hope you enjoy it!